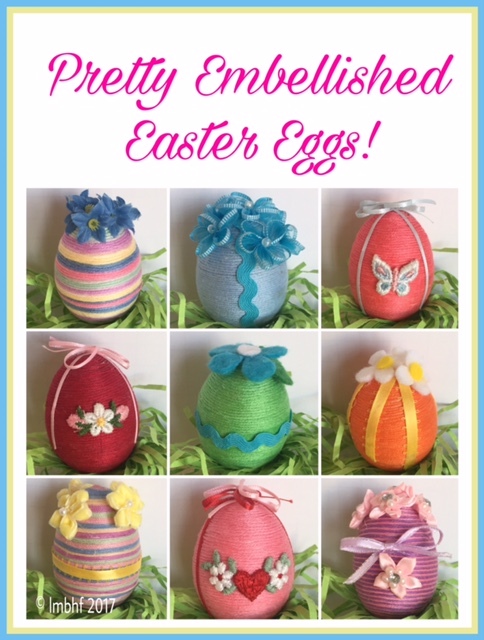 Are you looking for a beautiful easter craft you can make and display? Well, here it is!! I first made these way back when I was a teenager or young adult. Some of the eggs pictured are the actual ones I made back then. I love making them because they are so fancy and delicate – Oh So Pretty! And they make a lovely holiday decoration or gift! The only tricky part is wrapping the egg. Other than that they’re really simple to make! Make a very small hole in each end. Shake the egg vigorously to break the yolk. 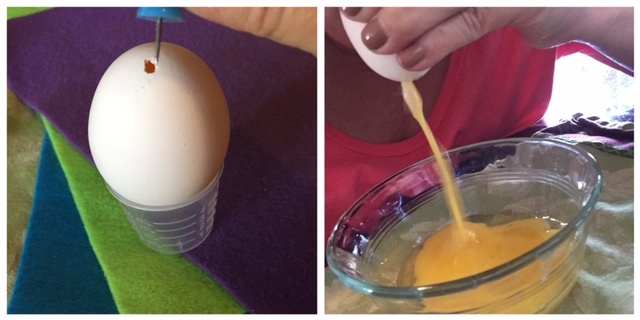 Hold the egg over a bowl and blow forcefully into one of the holes in the ends. When all of the contents of the egg have been blown out allow the egg shell to dry for a day or two. Blow Out the Contents of the Real Egg. Glue the two halves together using a hot glue gun or a little super glue. 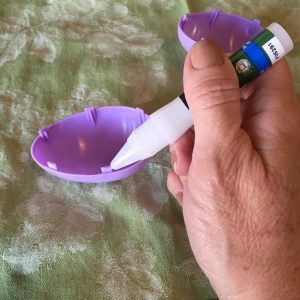 Glue the two halves of the plastic egg together. These eggs come ready to go! Glue the floss to the very end of the egg. 3. Spread about ¼ inch of glue around the egg right next to where the embroidery floss is attached. 4. Carefully wrap the floss around the egg in spirals. This is tricky at first but it gets easier as you get closer to the center of the egg. 5. Make sure your circled strands of floss are buffed up right next to each other with no space or egg showing in between! Wrap the floss around the eggs. 6. 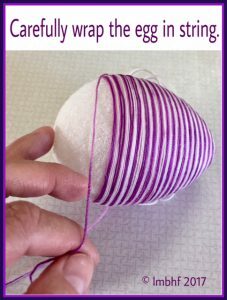 Continue wrapping the embroidery floss around the egg until it is completely covered. Make sure there are no spaces or gaps between the threads. 8. 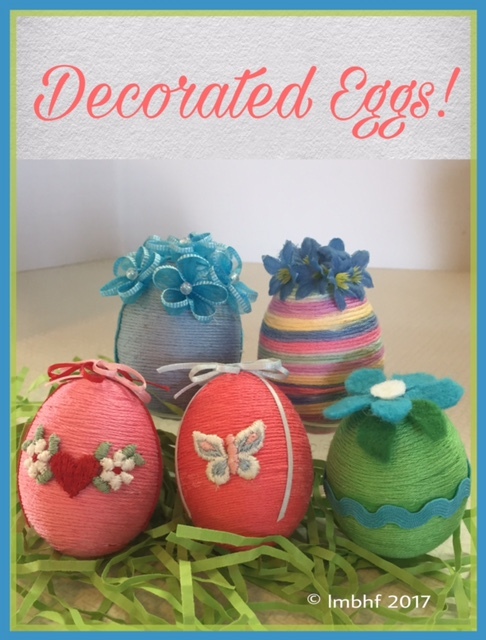 Use a hot glue gun and attach the embellishments of your choice to make your eggs beautiful. Such amazing Easter eggs, they are so beautfuly detalied. Thank you for sharing at Oh M Heartsie GIrls Friday Features this week! these are really pretty. Thanks for linking up with #BloggingGrandmothersLinkParty.